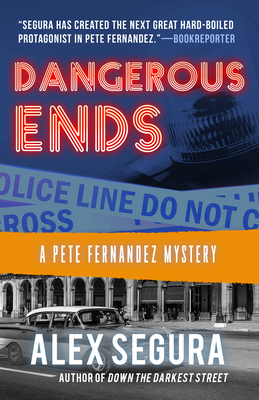 NOMINATED FOR THE ANTHONY AWARD FOR BEST NOVEL IN A SERIES Pete Fernandez has settled into an easy, if somewhat boring life as a P.I.. He takes pictures of cheating husbands. He tracks criminals who've skipped bail and he attends weekly AA meetings The days of chasing murderous killers are behind him. Or are they? When his sometimes partner Kathy Bentley approaches him with a potential new client, Pete balks. Not because he doesn't need the money, but because the case involves Gaspar Varela, a former Miami police officer serving a life sentence for the murder of his wife - one of the most infamous crimes in Miami history. The client? None other than Varela's daughter, Maya, who's doggedly supported her father's claims of innocence.